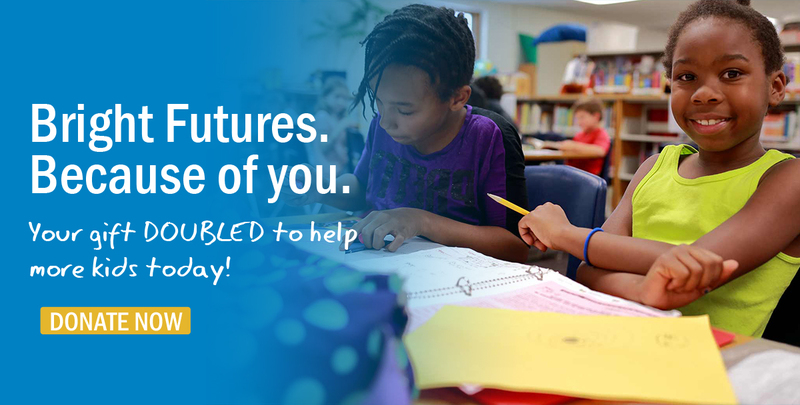 The Boys & Girls Clubs of the Fox Valley has received a $100,000 Matching Gift Challenge from three families in the Fox Cities community who want to help change the lives of Boys & Girls Club members. 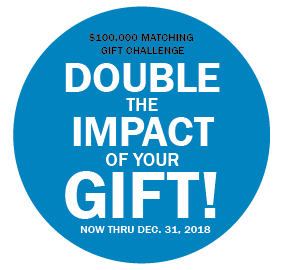 All gifts received, up to $100,000, by December 31, 2018 will be matched dollar for dollar as part of the Challenge. Why Donate to Boys & Girls Clubs of the Fox Valley? 100% of your donation stays in our community, the Fox Valley, Wisconsin. Our Mission: Inspire and enable all young people, especially those who need us most, to reach their full potential as productive, responsible and caring citizens. In the last year we served 12,000 youth in the Fox Valley through after school programs including our Teen Club of Appleton & Menasha, FREE Youth & Family Services including the Center for Grieving Children, Runaway & Homeless Youth Services, STAR (Students on Target to Achieve Results), TRAC (Truancy Reduction & Assessment Center) and Youth & Family Counseling. Boys & Girls Clubs of the Fox Valley is rated as a four-star charity (the highest category) with a score of 96.55 (out of a 100) by Charity Navigator, a national independent charity evaluator. It’s rating system examines two broad areas of a charity’s performance; their Financial Health and their Accountability & Transparency. There are only 48 other charities in Wisconsin with this four-star rating. Meet Michael: Michael eats a hot and healthy meal each day at the Boys & Girls Club of Menasha. Over 200,000 meals and snacks were served to thousands of young people just like Michael. Meet Jen: Since she joined the Boys & Girls Club of Appleton, Jen’s math grades improved from D’s to B’s. She is now on track to graduate in the Spring. Every school day, nearly 1,200 young people just like Jen walk through the doors of one of our Boys & Girls Clubs to get help with their school work, talk to an adult who cares, and find opportunity. Donate online with button below. Have questions? Give us a call at (920) 731-0555 or contact us via email here.